Luis on the Move ! 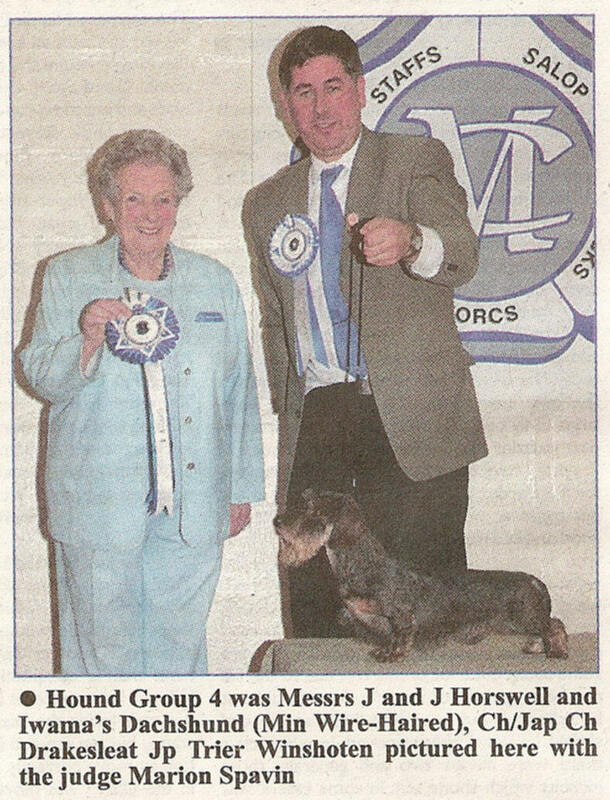 & wins 6 group 1's & many group places, 41CCs, over 60 best of breeds ! 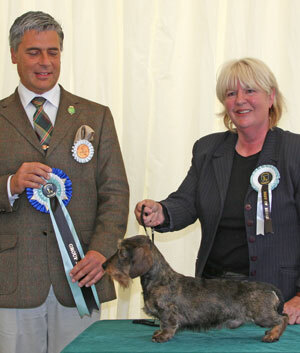 His title and winner of Group 2 Leeds July 09 judge Ellis Hulme GROUP 4 Hound Show & Best Scent Hound in Show as a baby! critique:- Paulo Dondina Hound group 2 Ch Drakesleat Win A Lot, Min W/h Dachs, I very much liked this little powerful male, in good shape & show condition, very typical head & expression, correct angulation, ideal front, level topline, presented at his best both standing & moving. 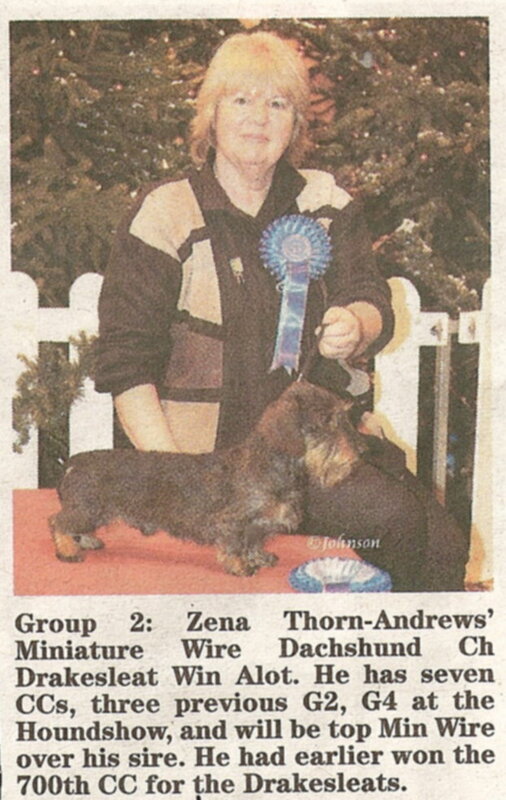 Best of Breed & GROUP 2 Darlington .. critique from Dr Tamas Jakkel (Hungary) as follows..
"A great little dog! Perfect type, fits to the breed standard so well. His balance could not be any better. he used his correct anatomy in a very effective way moving around the ring with a certain kind of proudness. 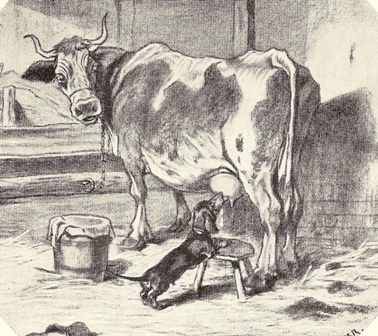 It says everything about him that a continental breed specialist like myself, who bred several World Winners was falling in love with him on first sight." Best of Breed & BEST IN SHOW Dachs Club entry 582!! his 9th CC still only 22 mths old! his 10th CC still under two years old! CC Best of Breed & GROUP 1 S.K.C. 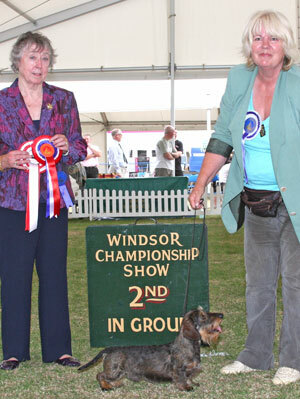 Ch Drakesleat Win'er Takeall to Swansford CC Three Counties at her first show! Starhill Lady of the Lake At Drakesleat our Chocolate brindle girl, wins Reserve CC at both Paignton & the Northern Dachs Ch Shows & her first CC at the Lancs & Cheshire Dachs club!! Drakesleat ..the first kennel to win this award twice! and in 2011 Win sires the new Breed record holder!! Qualifiers.. three out of four ain't bad! also Top Dog No 3 Rolling Stone!